I’ve read 27 novels since January 1st, 2016 – so… I’m on track for my target of 100 books this year. 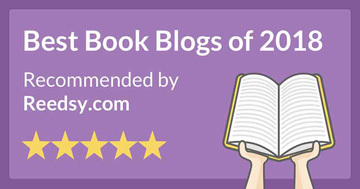 I’ve read some excellent novels – and some that didn’t live up to the hype. As you can see, only five of these ten titles are for NetGalley. I wonder… will I ever reach the coveted 80% feedback ratio??? I’m now standing at 62%. Also, somewhere amongst that list I have to insert two more titles. 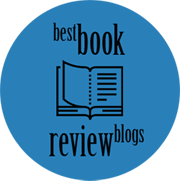 “June” by Miranda Beverly-Whittemore (for a blog tour), AND “The Devil You Know” by Elisabeth de Mariaffi for my in-person book club that meets on the last Tuesday in May. At the end of the day? I wouldn’t have it any other way! 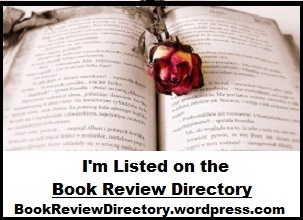 This entry was posted in Book bloggers, Choosing what to read next, Reading and tagged books, choosing books, Fiction, Reading, TBR list. Bookmark the permalink. I made the coveted 80%today…however, I requested more books…what’s a girl gonna do. Also, Lilac Girls is super!! Might want to move that one up!! Oh, Lynne, we are so much a like…..even when we don’t realize it!! I too want to read 100 books this year and yesterday I started number 28……we are exactly at the same level. I have a terrible feeling I won’t make it to the 100 as I have tried before and got close…96 but still short. That was a year I was working part time and cut back on cleaning the house……something I will never do again. Took so much to clean it up…..very depressing!! I had stacks of things in too many places. Actually, I still don’t do what I use to but I don’t let things accumulate and sometimes dust what someone would notice and do the floors, etc. if someone is actually coming to the house. I, too, want to read the Lilac Girls…..am waiting rather impatiently for it to show up at Chapters. Put a hold on it at the Library (#29….but I think I have to own it). I think it is a debut plus it just made the New York Times Best Seller list…..also, based on a true story! I will tell you I did not like Sarah Waters’ The Paying Guests and I am not alone…very disappointing!!!!! No comparison to The Little Stranger, which I loved and couldn’t read fast enough. Also, I did not like Jo Baker’s Longbourn………many people did. Also, both these titles are Heather’s Picks. Now, Pete Swanson’s The Kind Worth Killing I devoured……loved it!! When I was at the Harper Collins Event, I ask Shannon (one of the reps) why it didn’t receive more advertising. Shannon told me she was receiving many emails from Indigo employees asking the same question. She asked me to send her a review and she would use it to help convince the company to promote it better when it comes out in trade. I had read it so quickly, I thought I should read it again and I enjoyed it just as much, if not more, the second time. I will say the beginning is a little weak but it picks up quickly……absolutely LOVED IT…one of my favorites from last year. Also, I would have to say anything by Peter May is truly wonderful…..he is in a very special league. At 62%, Lynne, you are only 18% away from the coveted 80% why are you worrying? The treadmill is calling to me! If I do an hour (while reading!!) I can eat trash on card nights, have ice cream cones on Monday nights, and if I am out to dinner with friends have dessert. Normally, once I have dinner, that is it until the next morning and I love to eat at night….my favorite time!!! I don’t mind it much as I know I will have the pre mentioned the next day or in a few days. I had given my life a lot of thought and I knew a diet wasn’t going to work for me…..also I have smaller portions. I can maintain the 25 lbs loss with little problem….I weigh myself every day and my weight maintains 166 – 167 will little effort. At a wedding next September, I will be 164 –165 – that is because of the dress. Oh, that is why I have sweets at BC…only one night a month……and I am in no danger of becoming diabetic because I focus on iron rich foods and snacks…..peanut butter, yum!! Well, have to go and read a fantastic book Silenced by Anne Randall…..the first in the series was Riven by A. J. Mccreanor (yes, for some reason she had to change her name which is why I had to get the book from Brighton). Excellent series dark, Glasgow, rain, snow, sleet….a page turner. She is sending me a bookplate with her signature as I have a signed Riven. Will pick up Sienna at the bus and bring her over and we will play Cat Sequence which I love…..think Sienna is sorry she introduced me to the game!! Gaye, what a truly lovely response. Sometimes I say or think the same thing, but then again, I turn it around and realize that while I may not be reading the books I want to read ( as many), I am working and really happy to be overworked for the time being; I also like drawing, sketching, music, yoga an walking. I am trying to learn ( and it’s been hard) to live in the moment and to enjoy the moment for what it’s worth. I love some of your recommendations and I have found that Lynne and I love the same books. The Kind Worth Killing I can’t wait to read either. I am 77% on NetGalley, I’m looking forward to 80% to not feel the pressure. You have lots of gems to read, enjoy. Yes, I recognise that problem! Still, better than too few books, I suppose! These all sound and look great! There’s one with a really catchy title; I need to check it out. 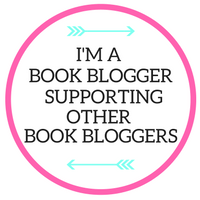 I think your post echoes so many of other bloggers thoughts – so many great books – I love most if not all in the last section that are shouting at you! I LOVE this post, Lynne! Good luck, lol!! I know, there are so many books out there. If only these annoying authors would stop publishing them. Ops, wait. I just published one. Ooooh damn.